Much like Featured Vendor #26, Agriberry, Flower Child is a business about family. Tonia Wyatt was inspired by the things she was already doing, making, creating for her family, and turned a lifetime of practical skills into a business, offering soaps, breads, granola, and other handmade items. 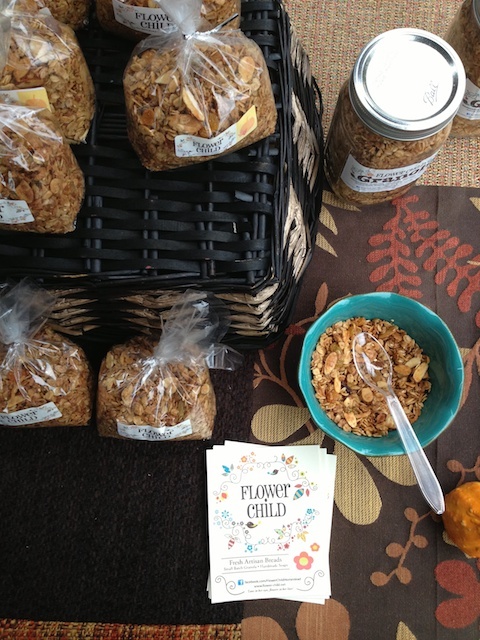 This is Flower Child’s first year at the market, but the well-appointed display and friendly service have already made it a favorite, getting a mention for their chocolate chip challah in Style Weekly’s food gift guide, Palate Presents. 1. How did you come up with the idea for your business? 2. What’s something about your business that people might find surprising? Well… that’s a tough one. I actually drew a blank for a few minutes and that hardly ever happens lol. I suppose most people would be surprised to know that all of our soaps are actually very beneficial, they don’t just smell good. I use vegan soap bases (except the goat milk varieties) and organic essential oils in all of my soap. All essential oils have true benefits! I also use organic medicinal herbs in many of my soaps which are fantastic for exfoliation and aromatherapy. 3. When you’re not vending at the farmers market, what do you spend your time doing? Well, I’m a gamer chick believe it or not, so I game a little here and there. I take care of my animals, Arya, our hyper-active dog, Cookie, our goofy guinea pig, Ned, our ninja cat, our rabbit who has a different name depending on who you ask (lol) and Princess and Ginny, our 2 goats. I home school my middle son, Johnathan so we spend a lot of time together. I bake on Friday’s and make soap and granola basically every other second of every day! 4. Who are your favorite vendors to trade or buy from at the market? 5. What’s your favorite item you sell at the market, and why? My Granola. I can not tell you how much I love watching people sample it. Watching the look on their faces when they taste it and hearing them say, “that is really good!” makes me so happy. What a great company profile! 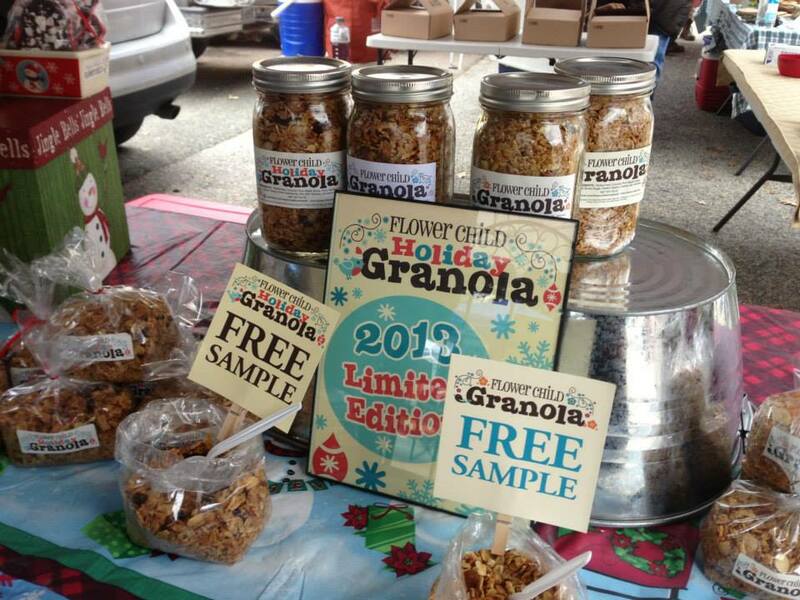 I’m a former homeschooler myself tossing ideas around in my head about selling my baked goods and granola at my local market; this is very inspiring!